Look!! Look!! Look! Gas miser!!! 36 MPG Hwy. This Vehicle is for Volkswagen addicts the world over longing for a superb prize. Other features include: Bluetooth, Power locks, Power windows, Heated seats, Auto... For more information on this or any other Burlington VW vehicle go to www.burlingtonvw.com. Gas miser!!! 36 MPG Hwy!!! This really is a great vehicle for your active lifestyle** Zoom Zoom Zoom! Other features include: Bluetooth, Power locks, Power windows, Heated seats, Auto... For more information on this or any other Burlington VW vehicle go to www.burlingtonvw.com. It just doesn't get any better!! This Vehicle is simply amazing in every aspect. One of the finest cars around, you won't believe what you get for the money** Need gas? I don't think so. At least not very much! 36 MPG Hwy** My!! My!! My!! What a deal!! 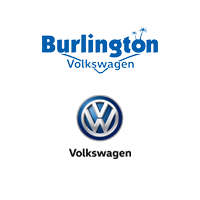 Other features include: Bluetooth, Power locks, Power windows, Heated seats, Auto... For more information on this or any other Burlington VW vehicle go to www.burlingtonvw.com.